I am about to drop the easiest waffle recipe you will ever see. And, considering it feels all fancy being ombre and all, it will seem even easier. 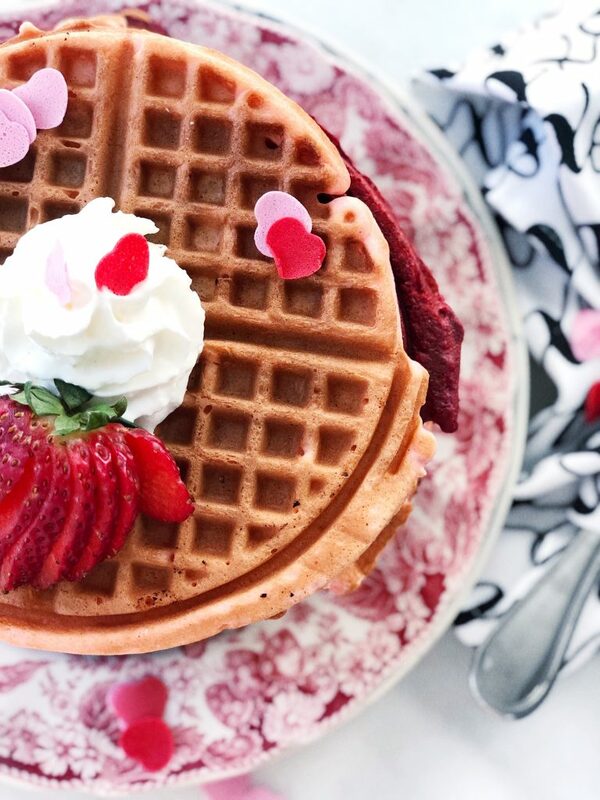 Enter: box cake mix waffles! 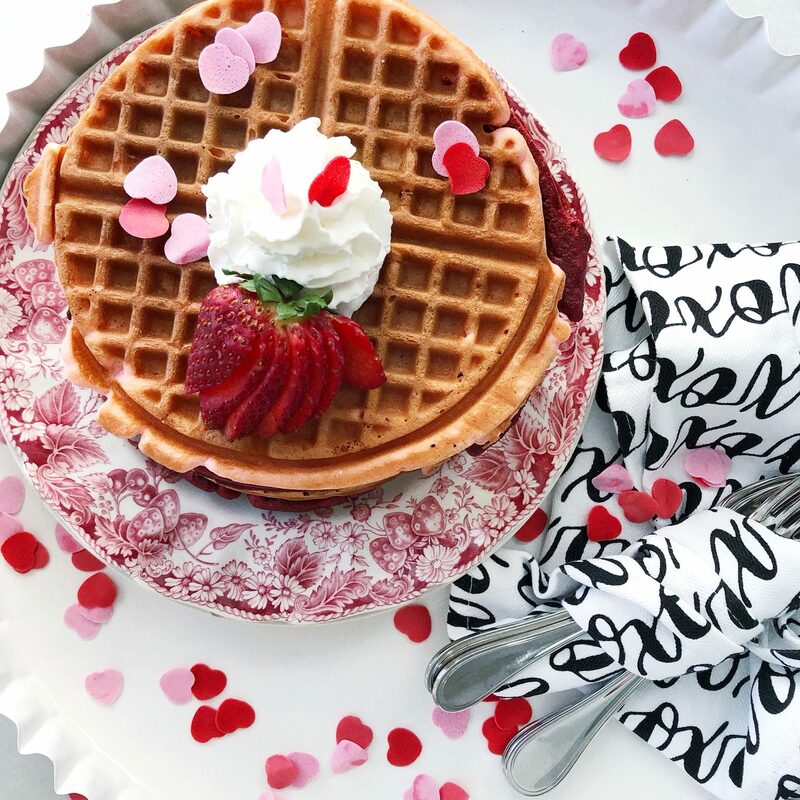 Yep, today, I’m going to teach you how to make box cake mix waffles. I’m not even really teaching you, I’m just showing you that it works. 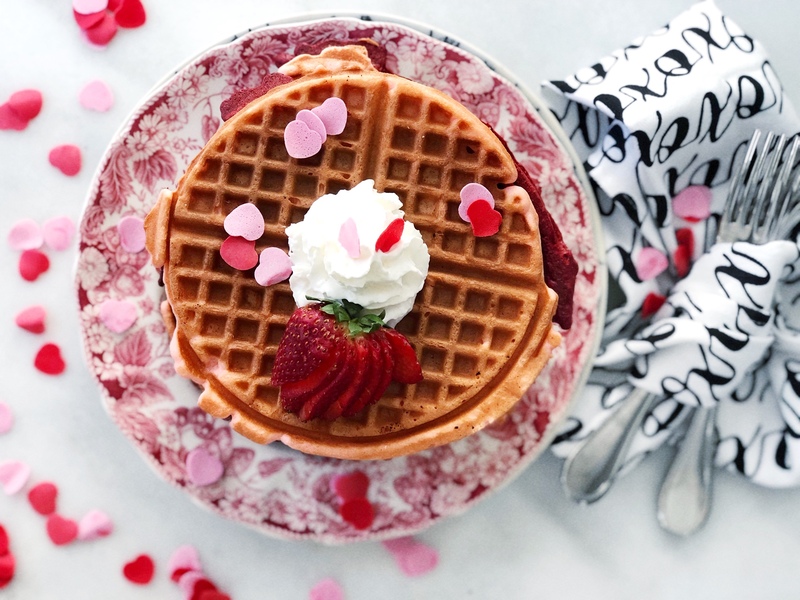 And the result is some super cute pink and red waffles for your Valentine’s and Galentine’s Day celebrations! Yeah, that’s it! If you really want to go crazy, a little whipped cream and some sprinkles will dress it up. 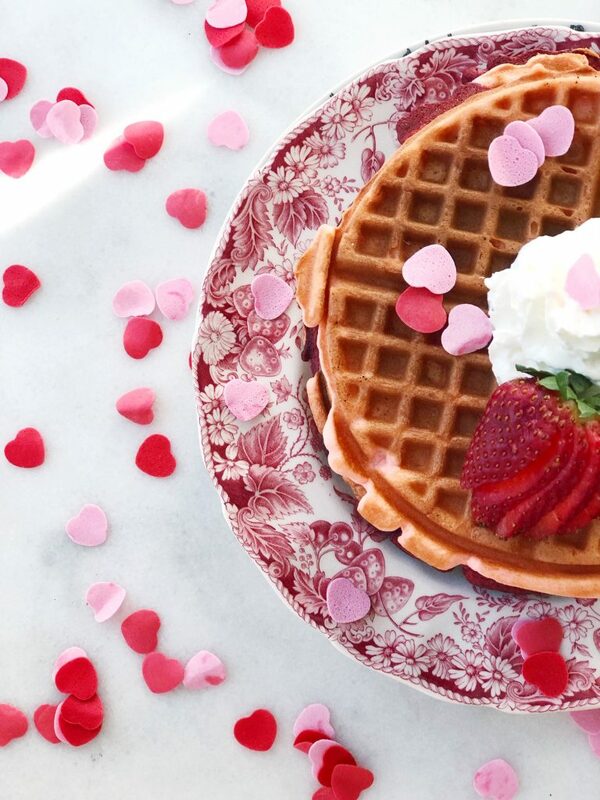 But now don’t go telling everyone that we make our waffles with cake mix, k? Like let’s let people think we slaved over these and put a whole lot of thought into them. 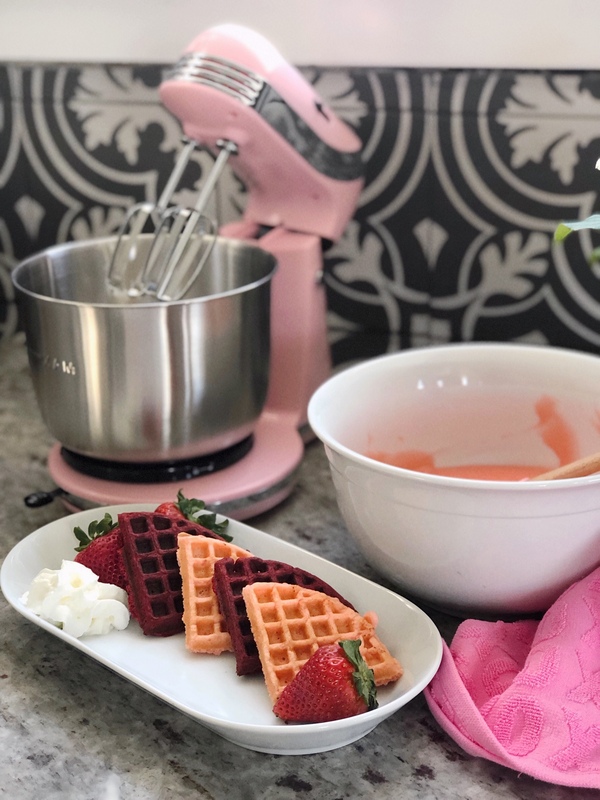 You can also make these ahead as you would any waffle – just let them cool completely, place in a ziploc or container and pop into the freezer. Then you can heat them up in the oven or a toaster. I love to have these cut into the triangles so I can put them out and guests can take as much or as little as they want. 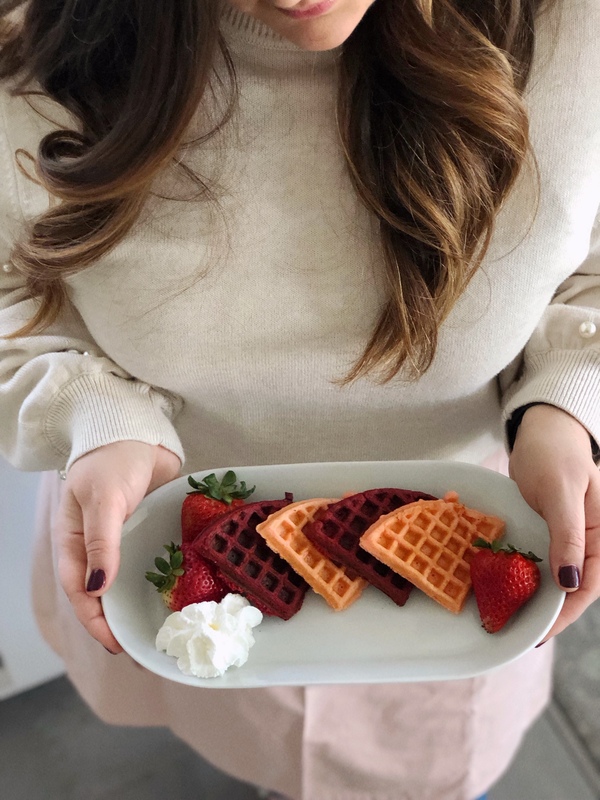 Using a box of red velvet and a box of strawberry cake mix pulls together these ombre waffles in no time! 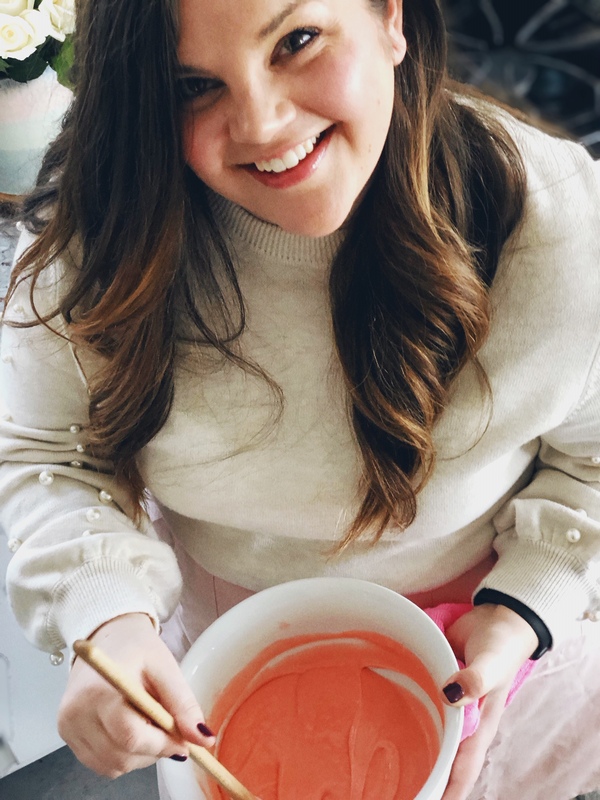 In two separate bowls, mix your cake mix according to the package instructions. Preheat waffle iron according to the manufacturer's instructions. Spray with cooking spray and pour mix onto iron (mine takes about 1/2 cup of mix for one waffle). 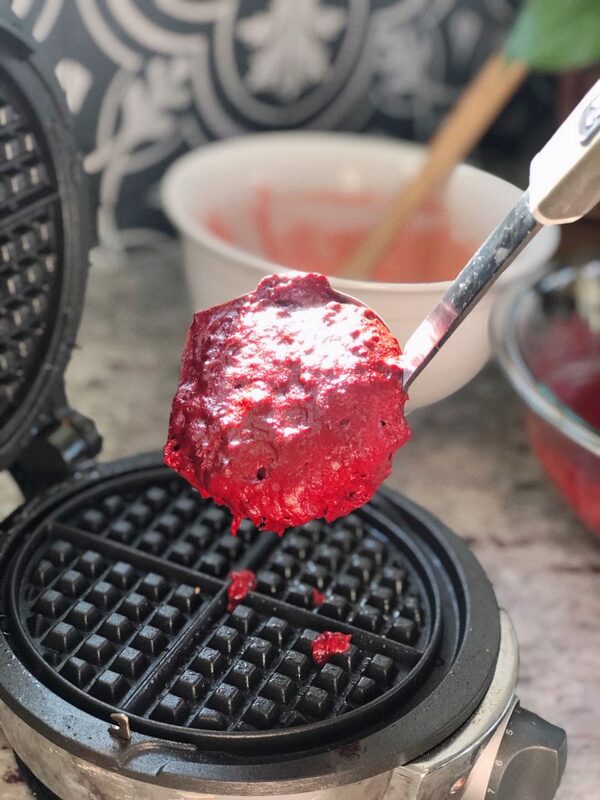 Cook until the waffles are done and pop off the waffle maker. Keep warm in 200 degree oven. To make ahead, allow to cool completely and then place in the freezer. 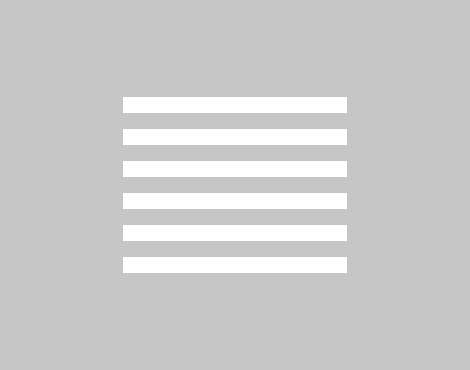 Reheat with oven or toaster.